Try one of the country's fastest growing watersports and learn basic wakeboarding techniques during this awesome experience! Qualified instructors, full safety briefing and all equipment included! 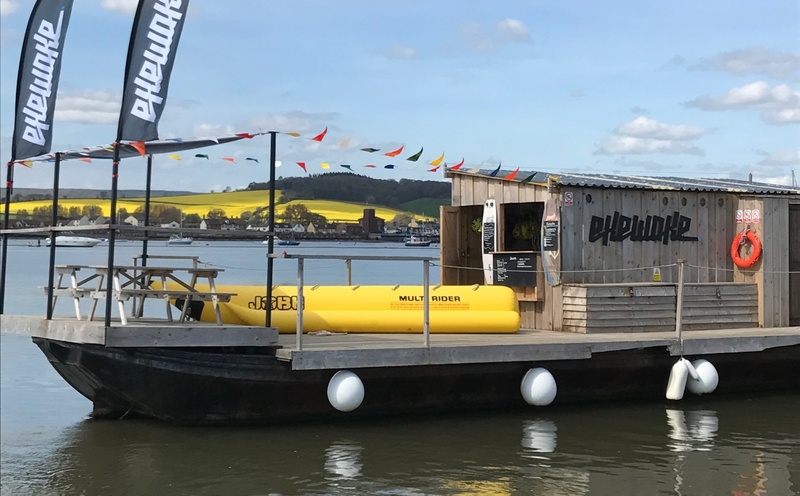 Wakeboarding is an exciting cross between water-skiing, snowboarding and surfing, and if you've always dreamed of mastering this awesome extreme water sport, then look no further than this fantastic extended introduction to wakeboarding in Devon. During this awesome experience, you will get out on the water behind a boat with your qualified instructor, and as you are pulled across the water at impressive speeds you will be taught what you are doing right and wrong - you'll be amazed at how far you come! Wakeboarding is one of the country's fastest growing watersports and an experience definitely not to be missed - so give it a go now and don't look back!Meet at the club house in marina where a briefing on the session and sorting out of kit such as sizing up Bindings, Wetsuits and Buoyancy aids will take place. You then leave the club house to the teaching area where you spend 30mins on the land running a land based get up and ride technique session, followed by 30 minute lesson on the water. After a short break where you have a look at how you were doing and evaluate your progress. This is then followed by the final 15 minute tow there you try and get you nailing a few simple tricks depending on your experience and lastly, back to the club house to get showered and changed. You must be able to swim 50m and should be of relative fitness. This sport is not suitable for pregnant women. You should allow 2 hours for the entire session and you will have 45mins Wake Boarding. Participants: The Extended Introduction to Wakeboarding in Devon is for 1 participant. Spectators are very welcome to hang out at the club house, bring a camera, it's well worth it! This session can be weather dependent. Please phone ahead if unsure. Great fun and a great location.